After serving up some original tracks from Obrotka, Abstract Music now enlists the services of Nikola Gala and Jay Bliss to rework one of his cuts. 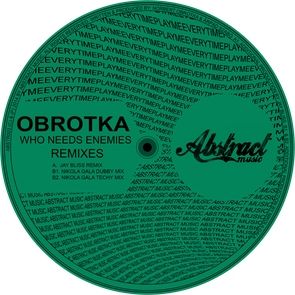 Obrotka has been active since the ‘90s, has apparently played almost every decent club in the world and because of his discography taking in labels like Deeper Digital, Abstract Music and Wasabi is possibly a revered part of the global dance community. 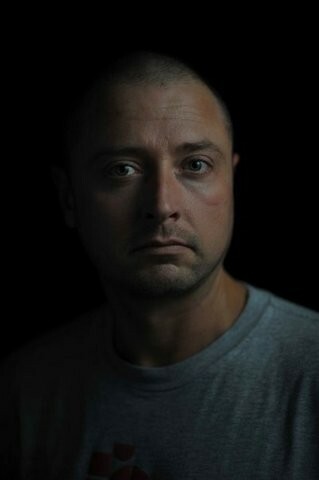 First to remix his ‘Who Needs Enemies’ cut is Romanian 2020 Vision and All Inn records associate, Jay Bliss. He flips the track into a deep, rubbery house groover with muted neon chords and crisp percussion. Next up, Nikola Gala is a producer whose tracks have become big releases for Ibadan Records, Rekids, Freerange Records and Plastic City. He serves up two remixes, the first of which is a dubby mix. Stripping things back to a locked on groove, hunched drums, rolling hits and frazzled synth lines all make for a seductive track that is warm and organic. Finally, Gala turns out a techy mix of the same track that is much quicker, more urgent and banging. Metallic chords, grinding bass and indecipherable vocal cries all characterise this more physical version.